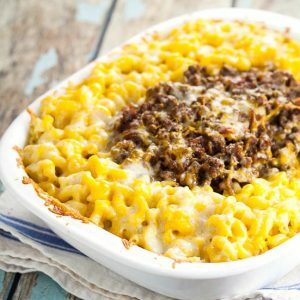 Creamy, cheesy mac and cheese combined with tangy and sweet beef sloppy joe in this Sloppy Joe Mac and Cheese recipe to make an ultimate comfort food dinner. Are you drooling? I am. Just bein’ honest here. 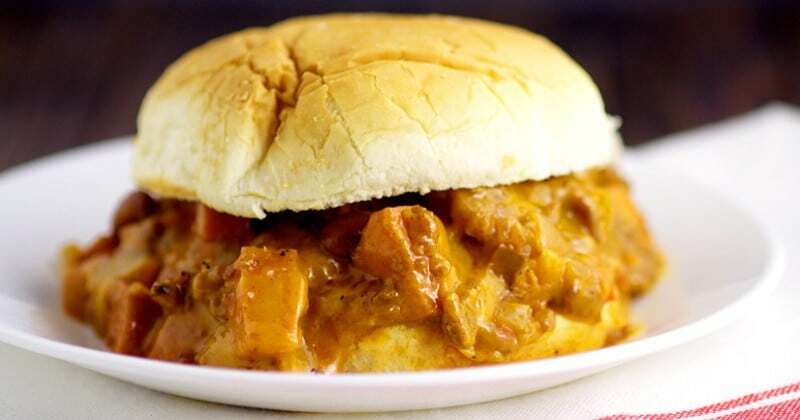 Two comfort food classics creating a simple family dinner that everyone loves. Including me. Especially me. 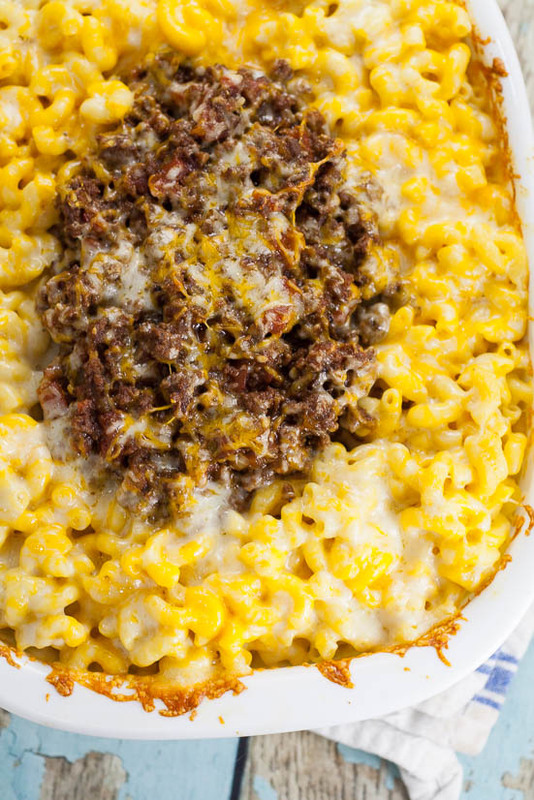 Creamy, cheesy mac and cheese topped with tangy and sweet sloppy joes. How can you resist?! Serve this for a full dinner along with a fresh green salad, or bring it a potluck for a perfect dish to pass! 1 16 ounce package elbow macaroni, cooked to package instructions. In a large skillet, brown ground beef with green pepper, onion, and garlic. Drain and return to skillet. Add tomatoes, barbecue, ketchup, mustard, and brown sugar in the skillet with ground beef, and bring to a simmer over medium-high heat. Allow to simmer until slightly thickened, about 15-20 minutes. Add salt and pepper to taste. Remove from heat and set aside when done. While sloppy joe mixture is simmering, melt butter in a separate medium saucepan. Add evaporated milk into saucepan with butter and heat until steaming (but NOT boiling). Set aside 1/2 cup shredded cheddar. 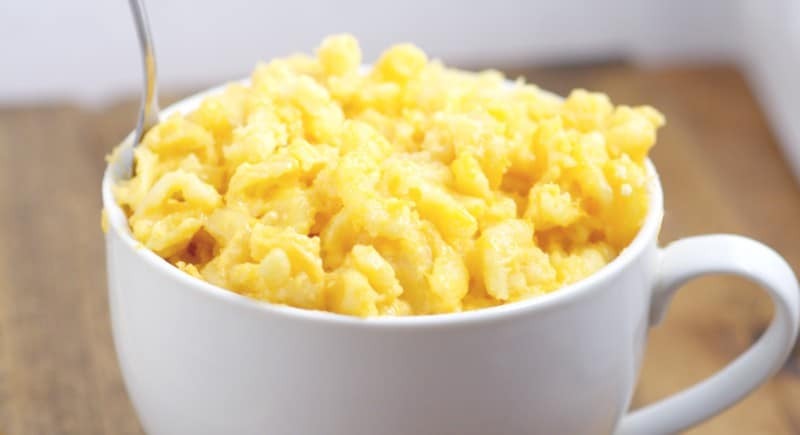 When milk and butter mixture is steaming, begin slowly adding the freshly shredded cheese, about 1/2 cup at a time, stirring until cheese is completely melted and combined between each addition. When all the cheese (except for the 1/2 cup reserved) is added, combine the cheese sauce with the cooked noodles and stir to combine. 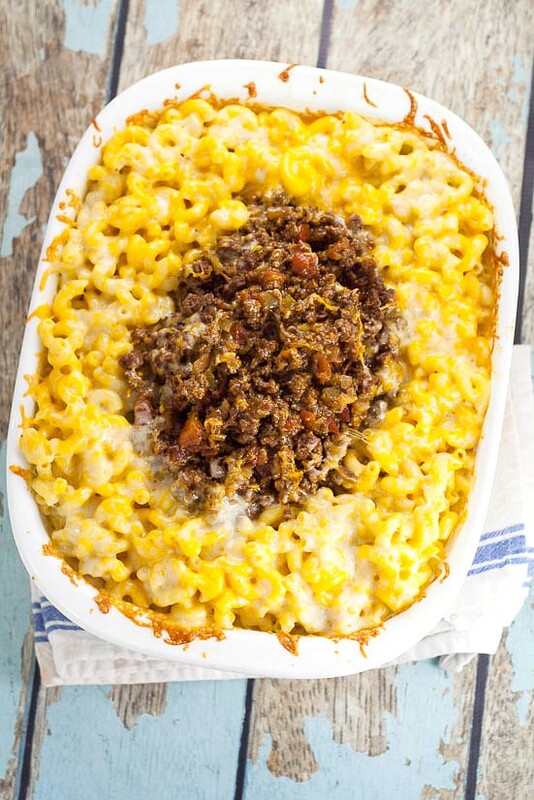 Place mac and cheese in a large casserole dish (a trusty ol’ 9”x13” baking dish will work). 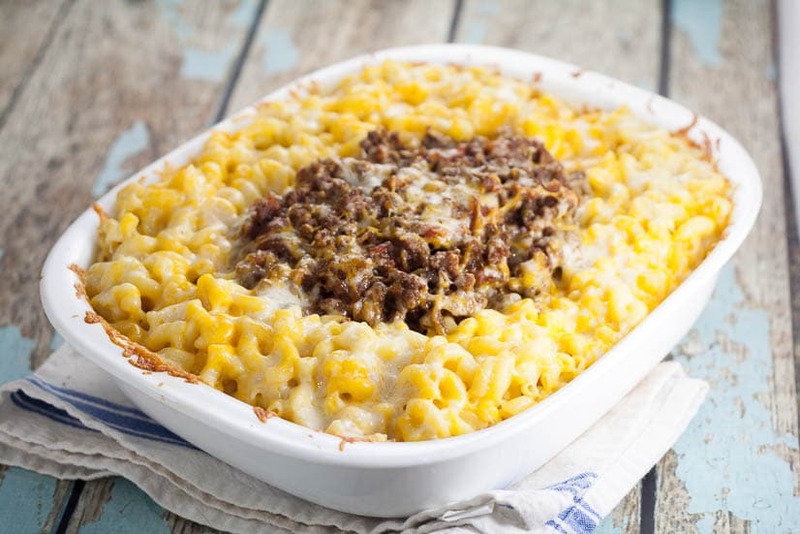 Make a small hole in the middle of the mac and cheese in the dish so that it looks like a little bowl.Pour sloppy joe mixture into the hole you created, and spread evenly. Sprinkle remaining shredded cheese on top. Bake in a 350 oven for 10-15 minutes until heated through and cheese is melted. 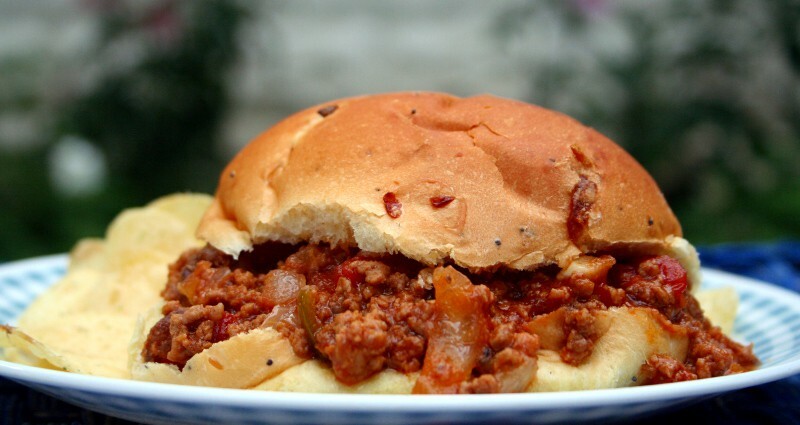 Did you like this Sloppy Joe Mac and Cheese recipe? Find more on my Dinner Ideas and Pasta boards on Pinterest!